FULLY FURNISHED AND MOVE IN READY. 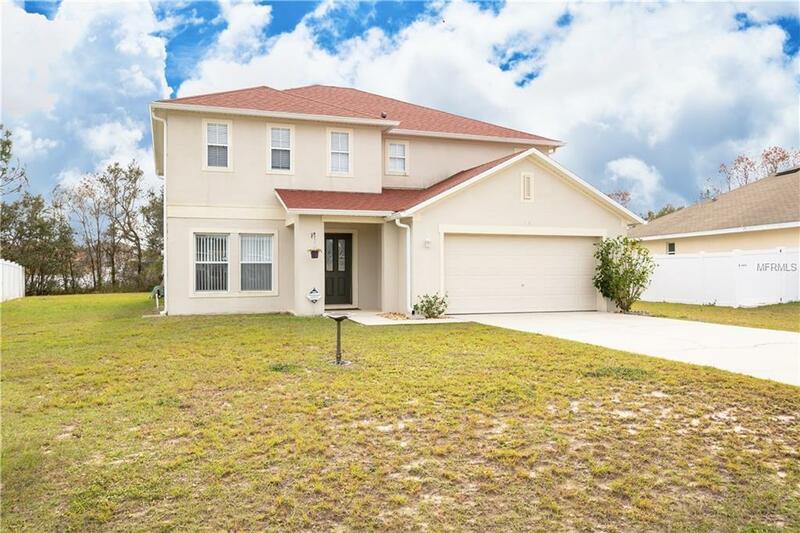 There's plenty of space for the whole family in this 2 story, 4-bedroom, 2.5-bathroom home.Oversized tile in the front living/dining room areas and a cook's dream kitchen complete with Island/bar. Upstairs the Master suite is a must see and the Master bath features a garden tub, walk-in shower, and an a large walk-in closet. Other upgrades include: a new Roof in 2017, newer A/C, solar attic fan, and sliding doors with special locks. Plenty of space out back for anything you can imagine. Furnishings will convey with the sale - even the lawn mower and pressure washer! All the home needs is you!